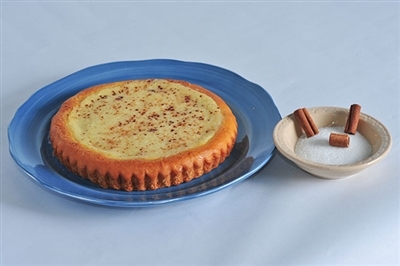 Vanilla custard with no fruit added but cinnamon and sugar sprinkled on top. Some people just like sugar kuchen. I used to call this my wedding kuchen.